PhosImmune, Inc. is a cancer immunotherapy company located in Charlottesville, VA and Birmingham, UK, founded to commercialize library of phosphopeptide tumor antigens (PTAs) developed at the University of Virginia (UVa) and the University of Birmingham (UoB), UK. The Company was co-founded by Professors Donald Hunt and Vic Engelhard and Dr. Mark Cobbold. Phosphopeptide Tumor Antigens are unique targets for Cancer Immunotherapy as they are highly expressed on cancer cells with low/no expression seen on normal cells, found on wide number of cancer types and derived from proteins involved in key pathways that underpin malignancy. Targeting them offers significant reduction in potential for tumor escape. A proprietary PTAs screening methodology allows for rapid identification and selection of PTAs for therapeutic applications. Existing/newly discovered PTAs may be exploited by mAb Therapy, TCR-based Therapy and PTA-based cancer vaccines. Currently a PTA cocktail (PxP-01) is being evaluated in a Phase I proof-of-concept clinical trial at UVa. PxP-01 has the potential to be efficacious against a variety of cancers. Dr. Haag is the acting Chief Executive Officer of PhosImmune. He co-founded the life sciences-focused international law firm of Fanelli Haag & Kilger PLLC (FHK). FHK is a co-founder of PhosImmune, Inc. Prior to FHK, he was General Counsel of Arrowhead Research Corporation (NASDAQ: ARWR), a Pasadena, CA based publically-traded private equity firm focused on investments in the life sciences. At ARWR, he was responsible for all legal and intellectual property matters across the entire portfolio of ARWR companies. During his tenure at ARWR he oversaw the raising of over $14m in debt and equity financing. He also negotiated and completed a partnership arrangement between ARWR-subsidiary Calando Pharmaceuticals and Cerulean Pharma, Inc. to out-license its lead phase II clinical asset worth $50m in upfront and milestone payments. Additionally, he served as CEO of ARWR-Subsidiary Tego Biosciences, a pre-clinical company focused on the development of neuroprotective small-molecule drugs. Dr. Haag successfully negotiated and executed the sale of Tego to Luna Innovations. He lead FHK�s representation of ARWR in its acquisition of Hoffmann La Roche�s entire RNAi business and has also represented ARWR in its raising of over $200m since the Fall of 2013. 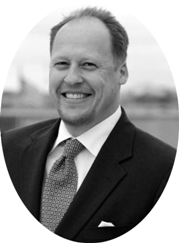 Prior to ARWR, he practiced as an attorney in the D.C. offices McDermott Will Emery LLP and Kenyon & Kenyon LLP. Dr. Haag earned a B.S. in Biology and a Ph.D., in Molecular, Cell and Developmental Biology from UCLA where he was an NIH-Pre-doctoral Fellow in Genetic Mechanisms. He completed a J.D. with honors, at The George Washington University Law School. CEOCFO: Dr. Haag, what is the concept behind PhosImmune? Dr. Haag: PhosImmune is a company formed in 2012 as a spin out of the University of Virginia and the University of Birmingham in the U.K. PhosImmune controls a tumor targeting platform technology around phosphopeptide tumor antigens. Its goal is to commercialize a library of phosphopeptide tumor antigens both as targets for promising new immunotherapies and as immunotherapeutics in their own right. CEOCFO: Could you explain phosphopeptide tumor antigens? Dr. Haag: We also refer to them as phosphopeptide tumor targets. These are fragments of phosphorylated intracellular proteins expressed in cancer cells, which are displayed to the immune system on the MHC Class I presentation system. These target peptides differ from those associated with healthy tissue with respect to the manner in which they are post-translationally modified � in this case by phosphorylation. These differences in phosphorylation of our peptides relative to their counterparts from healthy cells make many of them appear as immunologically foreign to the immune system as viral peptides. Their aberrant phosphorylation patterns are the result of out of control phosphate-mediated cell signaling pathways whose dysregulation is the hallmark of cancer. Therefore, not only does the immune system respond to many of these peptides in a robust manner similar to viral peptides, but these peptides are also highly cancer relevant because they are by-products of the processes that are driving the cancer itself. The benefit of targeting such highly cancer-relevant targets is that you greatly reduce the chance that a tumor can down regulate such a target with impunity and thus escape therapy directed at it. Conventional tumor associated antigens such as cancer testes antigens on the other hand, are generally not known to play a role in tumorogenesis. These are just proteins which are up-regulated in some cancer cells as a result of the fact that cancer cells up regulate all kinds of different proteins in an uncoordinated manner. The reason why the peptides derived from these self-proteins are immunologically targetable at all is because the immune system does not have a good exposure to them due to the fact that they are normally only expressed in immunologically privileged areas such as the testes. As such, when a cancer cell begins to up-regulate these antigens, the immune system can mount a limited immune response against them. However, despite the immune response, tumors can usually down regulate such antigens with only minor effect on tumor growth. This would not be the case for antigens that arise as a result of the intracellular processes driving tumor growth and metastasis � such as many of our phosphopeptide tumor antigens. We have isolated over 700 phosphopeptide tumor antigens in a variety of different cancers. Given that many dysregulated signal transduction cascades are conserved in many types of cancer, we see expression of many of the resulting phosphopeptide tumor antigens in a broad spectrum of cancers. Targeting these antigens will enable exciting new broad-based anti-cancer therapies. CEOCFO: What is it that the company has figured out to allow it to work in the way it needs to? Dr. Haag: Our progress is the result of a number of critical factors. First is Donald Hunt�s world-class mass spectroscopy expertise which allows us to isolate and sequence tumor phosphopeptides in relatively short order. Professor Hunt�s long time collaboration with renowned immunologist Professor Vic Engelhard lead to the discovery that many of our phosphopeptides immunologically distinct and foreign to the immune system and that strong T cell based immune response can be raised against them. Dr. Mark Cobbold discovered that when tested against the white blood cells of healthy human donors, these T cell responses are from the memory compartment and of a robustness similar to that seen against viral peptides from CMV or Epstein-Barr virus, for example. CEOCFO: Is the concept medically accepted or is it a new concept? Dr. Haag: It was certainly known in theory that a given Protein X in a cancer cell may be post-translationally modified differently than the same Protein X in a healthy cell. The question has been: How do you leverage that difference in a therapeutic context? We have found the answer to many pressing questions in this regard and many of the breakthrough discoveries I described above were published in a landmark paper in the September 2013 edition of Science and Translational Medicine (Cobbold, et al., Sci Transl Med 18 September 2013, Vol. 5, Issue 203, p. 203). PhosImmune has received substantial interest in the wake of this publication authored by its co-founders. CEOCFO: How and when would this be used? At what point would this be given to a patient? Dr. Haag: With respect to product development, PhosImmune has three aims. First, PhosImmune will provide highly antigenic and highly cancer relevant antigens to partners seeking to most effectively aim promising antibody, chimeric antigen receptor (CAR) or T-Cell receptor based anti-cancer therapies. These therapies target cancer cells with a therapeutic payload, based on their expression of a particular peptide/MHC Class I complex. Second, PhosImmune has already and will continue to isolate its own soluble phosphopeptide specific T cell receptors, which it will develop as targeted therapeutics alone or with a partner. The third aim is to create phosphopeptide-based therapeutic vaccines for the treatment of cancer. PhosImmune is currently evaluating such a phosphopeptide-based vaccine in a Phase I Clinical Proof of Concept trial at the University of Virginia. CEOCFO: Are there particular types of cancer you are targeting now? Dr. Haag: One of the interesting things about our phosphopeptide tumor antigens is that they arise as a direct result of aberrant cell signaling and dysregulated kinases, as I had pointed out. Many of the same out of control signaling cascades are present in a range of different cancers. It comes then as no surprise that we are seeing many of the same phosphopeptide targets expressed in a number of different types of cancers. As such, we envisage our therapies to be applicable to a range of cancers. So far, we have isolated phosphopeptide tumor antigens from melanoma, breast, ovarian, colorectal and esophageal cancers. Hepatocellular and lung cancer samples are now being analyzed. CEOCFO: Are you funded for the steps or will you be seeking partnerships, joint ventures or investors? Dr. Haag: We are in number of partnership discussions right now. These include co-development, antigen licensing and sponsored research partnerships. PhosImmune is also seeking to close on an ongoing $1.5m advanced seed round in the next two months. CEOCFO: The medical community and investment community seem to be cyclical in what they are looking at and what they consider of consequence. Where does your research stand today? Dr. Haag: There has been a great deal of interest in cancer immunotherapy over the last two to three years. Indeed cancer immunotherapy was Science Magazine�s breakthrough discovery of 2013. Much of the attention has been directed at checkpoint inhibitors, which when antagonized results in a broad activation of T-cell responses. More recently, there has quite a bit of excitement regarding targeted cancer immunotherapeutic approaches such as chimeric antigen receptor (CAR) or T-Cell receptor technologies. These approaches hold great promise and we see PhosImmune�s role as providing the highly immunogenic and cancer relevant targets against which to direct these targeted therapeutics to mitigate the risk that the tumors can escape them. CEOCFO: Have people been looking at the other area because they were not able to identify or see a way to work with the type you are working with now? Dr. Haag: That is correct. The technology to isolate and sequence these phosphopeptides was pioneered by Don Hunt. The work to characterize them immunologically characterization was pioneered in collaboration with Vic Engelhard and Mark Cobbold. CEOCFO: Why PhosImmune and why now? Dr. Haag: PhosImmune provides the targets that will enable and potentiate the next generation of very promising cancer immunotherapies, such as chimeric antigen receptor T cells as well as T cell receptor-based drugs. We feel these techniques provide great anti-cancer artillery. However, we see PhosImmune as providing excellent caner relevant and high immunogenic target for that weaponry. We have garnered much interest recently and are very excited about bringing this technology to the patients that need it most. �More recently, there has quite a bit of excitement regarding targeted cancer immunotherapeutic approaches such as chimeric antigen receptor (CAR) or T-Cell receptor technologies. These approaches hold great promise and we see PhosImmune�s role as providing the highly immunogenic and cancer relevant targets against which to direct these targeted therapeutics to mitigate the risk that the tumors can escape them.� - Thomas A. Haag, Ph.D.